ESCAPE THE FATE - Announce Headline Tour Celebrating 10 Years Of "This War Is Ours"
Escape the Fate have announced a ten-year anniversary tour commemorating the release of "This War Is Ours", the band’s debut record with frontman Craig Mabbitt. The band will be performing the album in its entirety on the 23-show run across Europe and the UK, preceded by select anniversary shows in the United States. Tickets are on sale Friday, November 2nd. "After the success of the Australian leg of This War Is Ours 10 Year Anniversary Tour, we are ecstatic to have the opportunity to bring the tour over to the U.K and Europe. We can’t wait to celebrate with you all." says frontman Craig Mabbitt of the tour. Earlier this year, Escape the Fate released their sixth studio album, "I Am Human", which sees the band at their most raw, real, and relatable. Produced by GRAMMY® Award-nominated producer Howard Benson [My Chemical Romance, Adam Lambert], this record sees an evolution of Escape the Fate’s sound that brings the band back to the excitement of their roots. “We’re getting older, and we’re changing so our music should change with us”, singer Craig Mabbitt explains. “At the same time, we rediscovered what made us who we are; I felt like I was 17-years-old again. I haven’t been this excited to release something since I first joined the band and we put out "This War Is Ours"”. 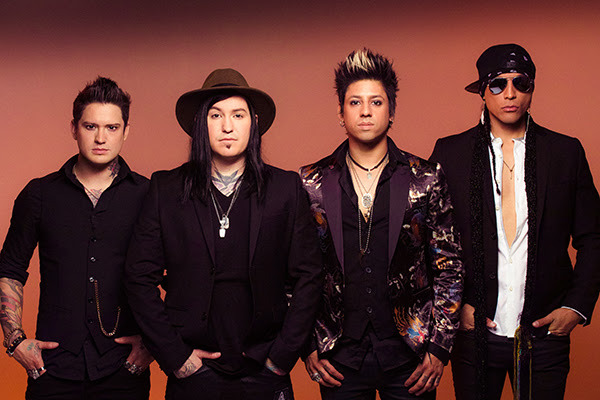 With "I Am Human", Escape The Fate transmit a raw, real, and relatable narrative through airtight songcraft, lyrical honesty, and stadium-worthy delivery indicative of a shared human experience. You can find European tour dates below. For tickets, VIP packages and more information, visit www.escapethefate.com.